Star Cafe Child theme is currently unavailable due to conflicts with Divi 2.6. Please use an alternative Divi Child Theme or one of our free Divi layouts. 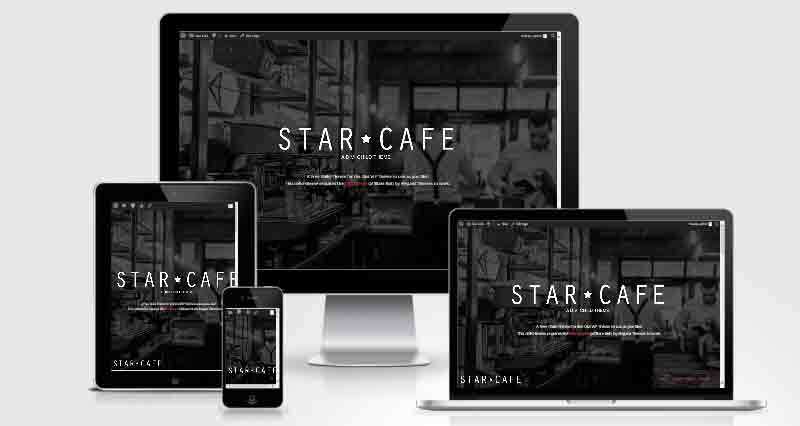 Star Café is a Divi child theme you can upload and activate on your WordPress website. Feel free to use as you like for any purpose. Images used are from http://pixabay.com/ so feel free to go grab your own images there or one of the other free image sites. 1.Install the Divi parent theme (affiliate link) by Elegant Themes. 2.Then install and activate the child theme. 3. Create and publish a new blank page. Then, activate the page builder and scroll down and load the layout called Star Café Divi Child Theme. 6. Customize the link/menu/accent colours using the Divi customizer. 4. A style.css – where you can add your own custom CSS to style your child theme further. 5. A screenshot.png which shows up in your themes section so it looks nice.